Direct mail marketing may seem like a dying trend, but it is actually still a prominent form of marketing today. The key is to do it right the first time to avoid wasting time and money. Proper planning and the right approach can get you far when it comes to your direct mail marketing campaign. Here are a few useful tips to get you started off on the right foot. 40% Audience: When it comes to direct mail marketing, your audience should be highly targeted. Those on the receiving end of you mailer should actually be able to find use for your products or services that are highlighted. 40% Offer: Even if your targeted audience recognizes your brand, that doesn’t necessarily mean they will be inclined to make a purchase upon receiving your direct mailer. However, if you provide an incentive, such as an exclusive offer or a limited time rebate your audience may be more motivated to act. 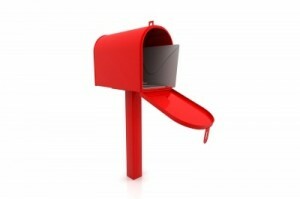 By offering a value added incentive your direct mail campaign may result in high sales conversions. The hotter the offer the more likely you will attract new and repeat customers. 20% Everything Else: Now that you have your target audience selected and an offer put in place, you need to focus on everything else. This includes everything from postage to the mailing date, but also takes design into account. Great design can enhance the power of persuasion and reinforce your offer. Intriguing design is your chance to stand out and break through the noise. Your direct mail design should connect with your audience and urge them to follow up sooner rather than later. To truly make an impression with a direct mail piece you’ll need to write effective copy. Audiences are more likely to identify with your offer if you convey your features and their benefits together. You should also appeal to emotion first, instead of only logic. Often direct marketers focus only on the numbers and logical side of things, however consumers make decisions with the right brain and base them first on emotion. So, in order to set up a successful sale you should appeal to emotion first and then close with logic. Usually you don’t buy a car without test driving it first, so why would you invest a portion of your advertising budget without testing the market first. Before you launch a full direct mail campaign you should test it out in a smaller market to define the ROI (Return On Investment). By starting small you can easily determine the rate of success or failure and tweak the campaign as necessary. When it comes to direct mail marketing there are a ton of “best practices”, and these are just a few to get you started. To learn more, click here.